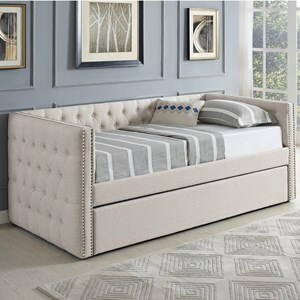 Outfit your guest suite or master bedroom with the beautiful Rochester Corner Daybed. 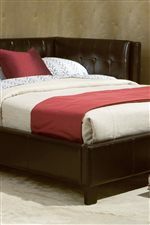 Upholstered in a deep brown, black, or red PVC fabric, it has a soft and supple feeling for your comfort. It has plush cushioning, button tufting, and matching top-stitching for a trim, contemporary profile that offers deluxe comfort. Versatile in design, the Rochester Corner Daybed offers a connection feature which allows the corner position to be reversed for fitting in various room configurations. 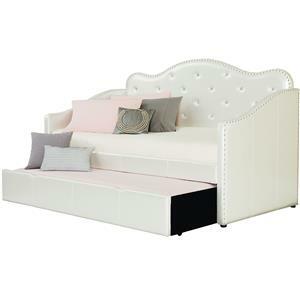 The Rochester Corner Beds Twin Upholstered Corner Daybed by Standard Furniture at Miskelly Furniture in the Jackson, Pearl, Madison, Ridgeland, Flowood Mississippi area. Product availability may vary. Contact us for the most current availability on this product. 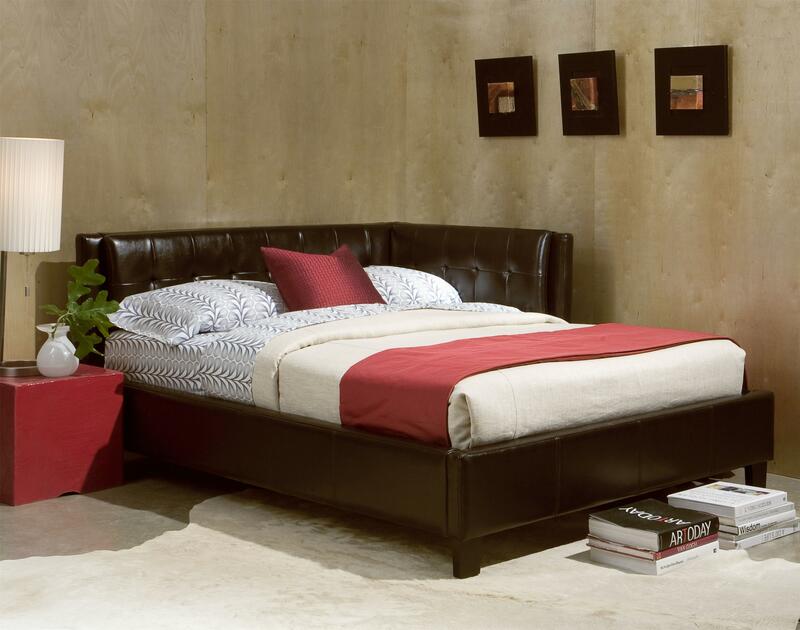 Impressively radiant, Rochester is a chic bed that offers a modern design for your home. Simple in structure, it features black, dark brown, or red finish options that effortlessly add depth and definition to any room. A platform style footboard furthers its contemporary feel, while two types of tufted headboards add dimension and detail to impress. 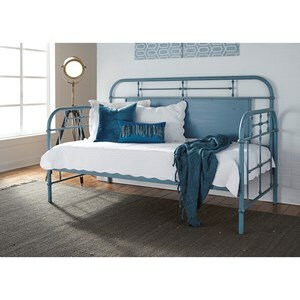 Sleek and trendy with a cosmopolitan quality, Rochester is a relaxing bed to come home to. The Rochester Corner Beds collection is a great option if you are looking for Contemporary furniture in the Jackson, Pearl, Madison, Ridgeland, Flowood Mississippi area.